Located in the constellation Canes Venatici, M3 is a tight cluster of almost 500,000 stars. This cluster is located approximately 30,000 light-years from Earth. 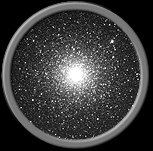 It contains about 170 faint variable stars, which is more than any other globular cluster. A visual magnitude of 6.2 makes this bright cluster an easy target for binoculars and telescopes alike. M4 is a globular cluster that lies in the constellation of Scorpius. It is located about 7,000 light-years from the Earth. 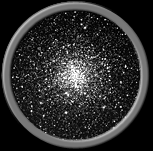 This makes M4 one of the closest of the globular clusters. 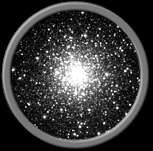 It is also one of the most open, or loose globular clusters. M4 is receding from us at a rate of 65 km/sec. With a visual magnitude of 5.6, this cluster can easily be seen with the naked eye on a dark, clear night. 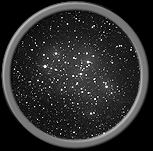 With the aid of a small telescope, it displays a central band of bright stars in a linear formation. 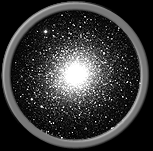 Located in the constellation Serpens, globular cluster M5 is one of the few to show an elliptical shape. 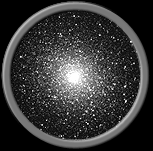 It is believed to be one of the oldest of the globular clusters, at an age of about 13 billion years. M5 is located about 23,000 light-years from Earth, and has a diameter of about 130 light-years. This cluster's visual magnitude of 5.6 males it easy to spot on a clear night with dark skies and a pair of binoculars. 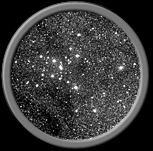 A telescope will resolve the cluster's individual stars. Another galactic cluster to be found in the rich hunting grounds of the constellation of Scorpius is M7, also known as Ptolemy's cluster. It is a large group of about 80 stars set against the background of fainter and more distant Milky Way stars. 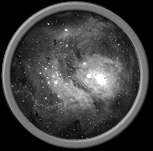 M7 is about 18 light-years in diameter and lies about 800 light-years from us. The brightest star of the cluster is a yellow giant with a magnitude of 5.6. This bright cluster makes a sine target for the binocular observer. 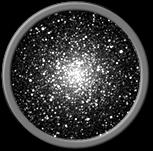 M9 is a globular cluster of stars located within the constellation of Ophiuchus. 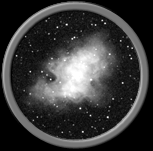 It is located at the edge of a dark patch of dark nebulosity. This cluster is about 26,000 light-years from us and has a diameter of about 70 light-years. The central region of the cluster has a distinct oval shape. M9's visual magnitude of 7.7 makes it a bit more challenging to find than some of the other globular clusters. It can be found with binoculars, and can be quite impressive in a 4-inch telescope.